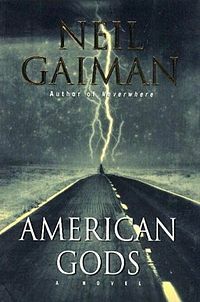 I just finished reading American Gods. It won the Hugo, the Nebula, and the Bram Stoker award, but I read it because it was number 10 on NPR's Top 100 Science-Fiction & Fantasy Books and because my buddy Sam Rushing recommended it. In short, I really, really liked it! I didn't think I would like it at all until about chapter 3, but after that, I couldn't put it down. It's like a mix of "O Brother Where art Thou", "The Guardians", Edgar Allan Poe, John Steinbeck, and "Pulp Fiction". My only complaint was that it was a bit too violent and sexually explicit for my tastes. Aside from that, it's a very enjoyable read. Awesome, glad you read it!